November 11 is Veterans Day. As a veteran of the Marine Corps and the daughter of a Marine, Veterans Day is a special holiday for me. It is a day that, with solemnity and pride, we honor the people who choose to step forward and risk everything in service to their country. That spirit of sacrifice and honor is what fills our country and our state with hope and promise. We can all draw inspiration from the examples of our veterans by stepping up when we are called to service—whether it be to our families, to our communities or to our coworkers. The Fresno Action Committee, the Joint Labor Management Committee (JLMC) for the Fresno Covered California office, is building a voice for workers to demand respect at that worksite. A recent meeting resulted in management conceding a number of items, including the right of workers to have a coffee and water club, to monitor their cell phones for emergencies and to have ample time to check emails and study. On October 23, Local 1000 President Yvonne R. Walker accepted an invitation from Central Coast members to tour the correctional facilities in Soledad, and the visit provided an opportunity to connect members from across the state with important struggles that are going on there. 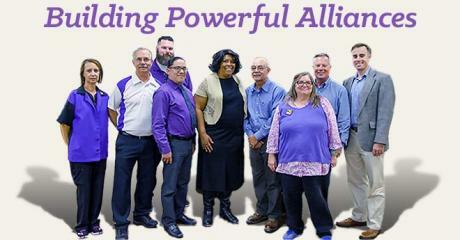 It also helped solidify alliances the union is making to honor our Purpose Statement’s directive to build better and more sustainable communities for all Californians. Local 1000 members at the California School for the Deaf (CSD) took action to protest unfair coaching salary schedules that have deaf coaches being paid less—sometimes as little as half—than the salaries of their hearing counterparts at other schools. During the CSD Fremont homecoming game against rivals CSD Riverside on October 17, members created an organized presence, setting up a booth and handing out “Support Our Coaches” stickers and fliers to call attention to the unequal pay. By taking collective action, we will make $15 and a union a central economic demand of our time. We are marching on city halls this time because city halls are the local symbol of our nation’s broken political system. We are joining together to elect and hold accountable politicians who support the middle class and a living wage for all workers. A dedicated group of Local 1000 members who provide lifesaving treatment under challenging conditions are being honored this week, along with thousands of their professional brothers and sisters across the nation. This week is Respiratory Care Week. 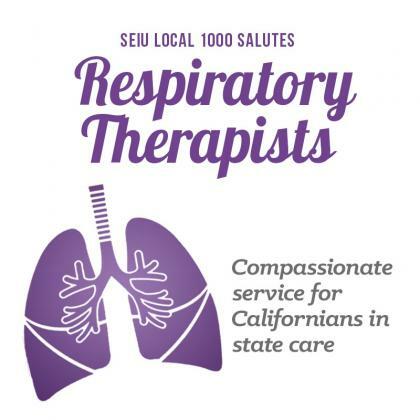 Our Respiratory Therapists work up and down the state in correctional facilities and state hospitals and deserve thanks for their efforts to help patients experience a healthier quality of life. Local 1000 President Yvonne R. Walker was the keynote speaker at a groundbreaking October 14 conference on retirement security called “Building Tomorrow’s California: New Visions for Retirement Security” that brought together activists from labor, faith and social justice groups to take a hard look at the retirement crisis and began to craft solutions that will work for all Californians. Nearly two dozen member leaders from across the state gathered at Local 1000’s Sacramento office October 12–16 to participate in a dynamic new leadership development program. The program is designed to recognize and mentor effective leaders to build Union power and solidarity as we prepare to bargain a new contract as well as fight off continuing attacks on the union. 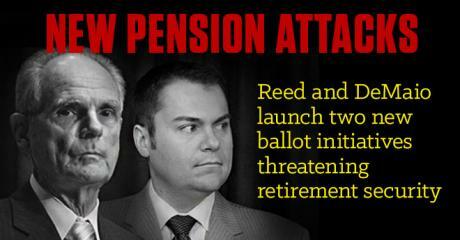 After a dangerous and deceptive pension initiative failed to gain support, right-wing extremists Chuck Reed and Carl DeMaio have come out with two new proposals that continue their efforts to degrade the hard-earned pension benefits of public employees. While their new approach appears to dial back the threat to current workers, the new attacks are just as dangerous. Everyone who cares about the economic security of California as a large segment of our population moves toward retirement should take this multi-pronged attack very seriously. Our 2015 legislative agenda—a yearlong effort to make politics matter for our members and all Californians—was capped this week when Gov. Brown signed the Local 1000-supported Senate Bill 343 into law. Titled “CDCR Librarians and Inmate Community College Incentives,” the new law adds Unit 3 librarians to the CDCR rehabilitation team and reflects their role in preparing prison inmates for successful parole. The bill also adds incentives for the completion of two- and four-year college degrees. A supervisor at DGS has been reassigned and no longer manages workers after Local 1000 won a grievance against workplace bullying. Local 1000 is committed to creating and maintaining emotionally healthy workplaces for the state workers we represent. We recognize that hostility and unprofessionalism are unsafe working conditions and we take these threats to our workers seriously. Two DGS employees came to the union to get relief from an oppressive situation that was making the workplace unbearable for them. Local 1000 provides crucial representation to our members, not only at the bargaining table, but by backing up workers in the day-to-day interactions with management bureaucracy that can affect career advancement. One of our members at Child Support Services recently experienced just that kind of support after coming to the union for assistance with getting management to remove outdated performance-related materials from his file. The contents of a state worker’s supervisor’s file can have a major impact on their ability to promote and take advantage of career opportunities. Thanks to the efforts of Local 1000 members advocating for patient safety at Salinas Valley State Prison (SVSP), the long-broken emergency call light system there has been repaired. The Local 1000-supported goal of creating a retirement safety net for Californians with no workplace plan came nearer its goal on September 28 as the Secure Choice Retirement board considered detailed information about how that state-run plan should work. Local 1000 was there to make sure our members’ voices are heard as important decisions are made on this groundbreaking program. A Local 1000 member at Covered California wins a grievance against manager who deemed her AWOL while on active military duty. The member works as a Program Tech II, Permanent Intermittent. The member was written up several times for misusing sick leave and being out on military leave without proper authorization. The Covered California employee is a member of the armed forces in the reserves who is called into active duty for training every year. Ignoring our contract language and the members’ rights, Covered California management denied her medical and military orders, insisting that medical notes be explicit and demanding letters from her commander for every day that she was out on military leave. Pope Francis’ first visit to the U. S. since being elected to the papacy in 2013 provided Local 1000’s Latino/Latina Committee with the opportunity to host two nights of discussion on the visit’s significance. Called “Connecting Common Values: Income Inequality, Environment, Immigration, Race” the forums were held September 15 and 22 at Local 1000’s Sacramento Field Office in partnership with Sacramento Area Congregations Together (ACT). 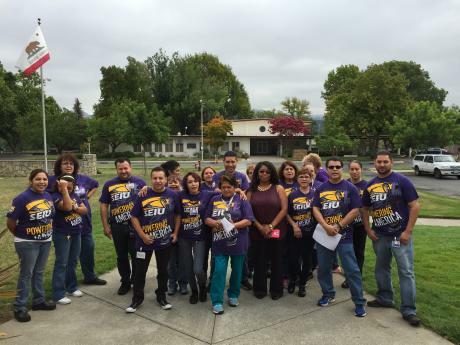 The movement for dignity and solidarity in Bargaining Unit 15 is growing at Napa State Hospital. A large worksite action organized by custodians there is calling public attention to unsafe conditions and forcing management to the table to address a variety of worker concerns. As a member political organizer in San Diego, Tammy Endozo has listened to many politicians talk about what they would do if elected. As a legislative fellow working out of Local 1000’s Sacramento office, she’s had a chance to see how many of them actually hold to the promises they’ve made. It’s been an eye-opening experience for her, reinforcing the importance of members being involved and active in the electoral process. Two Local-1000 sponsored bills are on the governor’s desk, awaiting signature before the October 11 deadline. Four other bills supported by the union are on a two-year track as Local 1000 continues to push an aggressive legislative agenda. “We’re making politics matter for our members by driving legislation that affects our lives at work and in our communities,” said Yvonne R. Walker, Local 1000 president. “We’re demonstrating the power of our membership at the Capitol. Eleven CalTrans toll collectors have been made whole again after Local 1000 forced a settlement to correct the way the Unit 4 members were being compensated when working on premium holidays. Open Enrollment starts September 14 and ends October 9. Changes made during Open Enrollment take effect January 1, 2016. Enroll in a CalPERS health plan if you don’t currently have CalPERS health coverage. Cancel your CalPERS health coverage. Last week, Sacramento’s Income Inequality Task Force recommended an increase in the city’s minimum wage to $12.50 an hour by 2020. The recommendation will now go before the City Council for review and public comment before a final decision is reached. 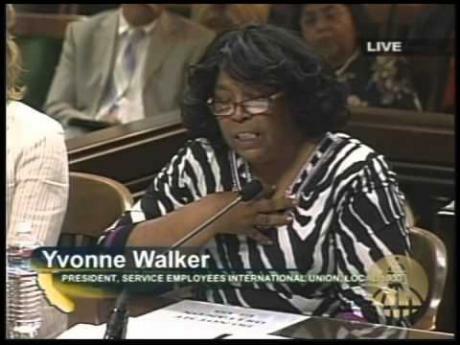 “We have raised the debate about income inequality and will continue the fight for fair wages throughout California so that no one who works full time lives in poverty,” said Yvonne R. Walker, Local 1000 president. Organizing by our members at the Yountville Veteran’s Home is changing a culture of disrespect and abuse there and sending a message to other worksites in Bargaining Unit 15 that solidarity works and that we are always stronger together. Local 1000 activists went to the Capitol on August 26 to lobby on behalf of our members. Representing worksites and DLCs from across the state, the members brought our issues to legislators through face-to-face conversations. Making these personal connections ensures that the people who make laws understand the real consequences of their decisions on the working people of California. The member-lobbyists received training in the morning and then traveled to the Capitol with an important goal: show lawmakers that politics matter to Local 1000 members. Scores of Local 1000 members were joined by community activists from across the Sacramento region August 25 for a town hall addressing the growing wealth disparity in our economy and what working people can do to stand up for each other. When Annie Chao took a poll of her coworkers at the Department of Insurance (DOI) in Los Angeles, she found that many had a desire to telework. A new steward out of the Leadership Apprentice Program for Stewards (LAPS), Chao immediately put her training to work researching options that would help meet that need. LAPS had provided her with a steward toolkit of organizing actions to win important workplace rights for her coworkers. A team of Local 1000 member activists are at the Capitol today to talk face-to-face with lawmakers and their staff in support of bills sponsored or backed by Local 1000. 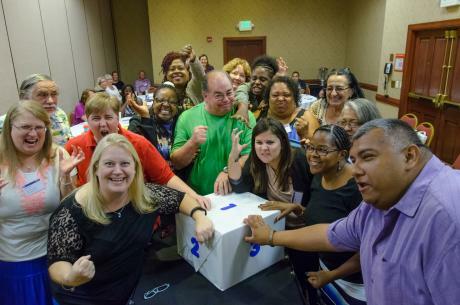 Politics is one of the important ways that our union brings change to our members’ lives. We maximize our impact at the Capitol by empowering members to lobby on issues they have identified as priorities. 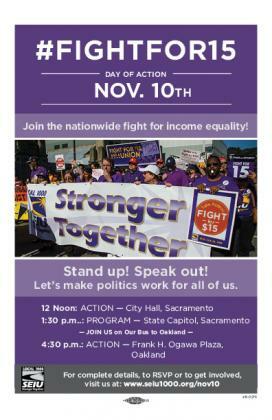 As the possibility for narrowing the income gap comes closer to reality for low wage workers in Sacramento, Local 1000 members are pushing to keep the needs of the working families top-of-mind for the city’s decision makers. At the third meeting of Sacramento’s Income Inequality Task Force on August 12, our members took their turn at the public comment podium to give voice to the real experiences of working Californians—and their community partners—who struggle to live on minimum wage. The deadly 2016 pension-gutting ballot initiative designed to bypass collective bargaining and threaten the retirement security of all public employees has passed another milestone, receiving a official title and summary from California Attorney General Kamala Harris. There’s a word for managers who yell, play favorites, deny hard-earned working conditions and trample the rights of workers who engage in union activities: bullies. And when your boss is a bully, you need someone to be a champion for you. For an increasing number of our members, that champion is Joel Chan. At a first-time meeting between Franchise Tax Board (FTB) Executive Officer Selvi Stanislaus and 20 Local 1000 stewards from that department, the union set out our road map to creating a cooperative, mutually-beneficial environment for workers and management. On July 23, the Unit 15 Upward Mobility Team met with the state’s representatives in a Joint Labor Management Committee (JLMC) as part of a continuing dialogue about gaps in the various departments’ upward mobility programs. Along with Chair Jesse Aranda (DSH), the team is comprised of Garth Underwood (CDCR), Shavone Brown (DGS) and Ellis Washington (EDD), as well as staff from Local 1000’s contract department. Stewards are at the core of Local 1000’s power, the crucial connection between the members in the workplace and the union. So when one of our representatives is treated unfairly for doing the work of the union, they’ve picked a fight we’ll take to the mat. A key component of Local 1000’s vision for Retirement Security for all Californians can move forward thanks to action by President Obama. On July 13, the President ordered his Labor Secretary, Tom Perez, to create a set of rules for states by year’s end that will make it easier for them to set up and run retirement savings programs for workers without access to 401(k) plans. Local 1000 is taking an active role in shaping the future of the state work force and is working to ensure that the employees who carry out California’s business reflect the diversity of the populations they serve. As the baby boom generation approaches retirement and millennials estimated to reach 75 percent of the work force in 10 years, the union and state lawmakers have identified an important opportunity to influence the future face of state work. The Young DLC (Driving Leadership and Change), a 35-and-under group of members who meet regularly to engage with the state workers of their generation, is one example of Local 1000’s commitment to creating a path to state service that is truly open to all Californians. Among its many outreach activities, the Young DLC hosts a number of career-building workshops designed to help state workers and prospective employees navigate the sometimes confusing path to working for California. Local 1000 stopped the State Compensation Insurance Fund (State Fund) from implementing a serious violation of our contract by introducing performance standards in the workplace without notifying and bargaining with the union. 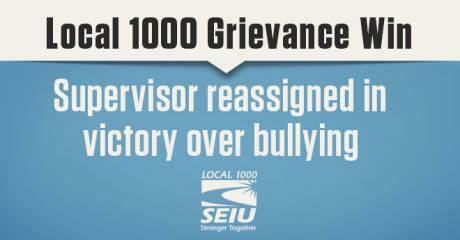 As a result of our pressure, State Fund has agreed to suspend the controversial program and meet with Local 1000. Local 1000 representation led to two Unit 11 workers receiving thousands of dollars in back pay after the union forced the state to correct errors in wages and benefit deductions. In just one year, the working conditions, wages and benefits of Local 1000 employees will be governed by a new contract—our current contract expires on June 30, 2016—and preparations are already underway by our bargaining teams to build negotiating strength. More than 200 elected members from various classifications in our nine bargaining units meet regularly to map out strategies and a timeline for negotiations, which will begin in the spring of 2016. Local 1000-represented employees will receive a 2.5 percent salary increase beginning July 1. This is the second portion of an across-the-board pay raise negotiated in 2013 that totaled 4.5 percent. State employees will see the higher amounts in their August 1 paychecks. “These increases over the last two years are much-deserved and well-earned after state employees shared the pain of recession and the state’s fiscal crisis,” said Yvonne R. Walker, Local 1000 president. Local 1000’s new leadership took the oath of office on Sunday, beginning a new era for the union as it prepares for challenges and opportunities that face our members and our families. Fifty-one new and returning District Labor Council (DLC) presidents were sworn in. These DLC leaders have a seat on our Board of Directors—commonly called the Local 1000 Council—and represent thousands of members that live and work in those DLCs. A new ballot initiative filed last week to appear on the 2016 ballot, would bypass the collective bargaining table and effectively freeze retirement benefits for Local 1000-represented employees at the current contract level, requiring voter approval for any enhancement of those benefits. Any alterations in cost of living adjustments, pension calculations, changes in vesting or lowering the age of retirement eligibility would all be subject to a statewide vote—even if they are successfully bargained in a contract. Local 1000 members are monitoring the implementation of a new electronic records system that will streamline health care services in state prisons. Called Electronic Health Records System (EHRS), the system will begin its rollout in October. When Jose Eric Alcaraz joined Local 1000, he got more than workplace representation; he discovered a conduit to the larger community issues he had wanted to be involved with all his life. “It’s the outlet I needed,” Alcaraz said. A victory for Local 1000 at the State Personnel Board (SPB) led to two abusive managers being seriously disciplined and showed how our strong contract enforcement efforts help members find relief from unfair and discriminatory working conditions. Parents and providers pushing for substantive relief in the state’s child care system are closer than ever to real reform and showed solidarity at a June 3 rally at the Capitol in a final push for SB 548, the Raising Child Care Quality and Accessibility Act. A coalition of anti-union, anti-public employee groups, including the National Right to Work Committee, launched their latest attack against public employee pensions and the hard-earned retirement security of state workers. Their misleading campaign, called the “Voter Empowerment Act of 2016,” would undermine collective bargaining and require voter approval for changes to pensions and other retirement benefits, including medical insurance. The initiative will soon move into the signature-gathering phase and will appear on the ballot next year. 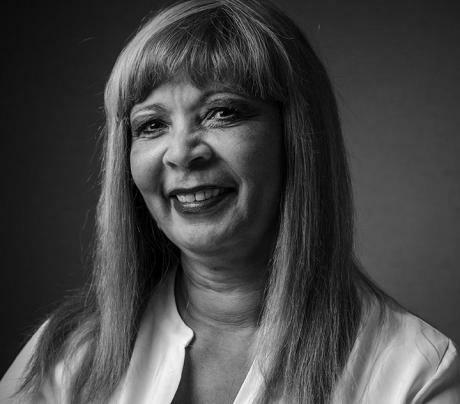 Yvonne R. Walker has been re-elected as president of Local 1000, earning 53 percent of the vote total, a 29-point margin over the next runner-up. 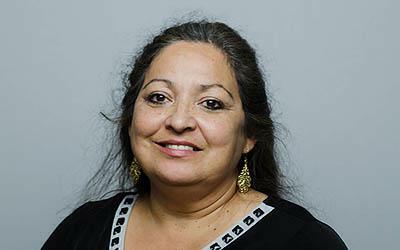 Maureen Thompson is returning to her job with a fresh outlook on Local 1000’s work after completing a three-month legislative fellowship at our Sacramento headquarters. Unit Representative (DBUR) for District Labor Council (DLC) 741 and delegate to the Monterey Bay Central Labor Council. Thompson gained a sharper perspective on the challenges Local 1000 faces in this time of big money anti-labor attacks. On Wednesday, May 13, State Controller Betty Yee met with Local 1000 stewards from her department to talk over their concerns and set a fresh tone of openness and cooperation in her new administration’s relationship with its workers. Local 1000’s work to provide retirement security for all Californians continued on April 27 as the California Secure Choice Board met to discuss the best options to help millions of private sector workers save for retirement. President Yvonne R. Walker, a Secure Choice board member, described the group’s efforts to develop legislation that will set up a retirement savings plan that can be accessed by workers whose employers don’t provide one. Local 1000’s ongoing effort to improve Covered California’s labor relations resulted in three employees receiving about $35,000 in back pay and that relatively new workplace receiving another critical lesson in respect for a unionized workforce. Local 1000’s ongoing campaign to update the job specifications of nearly 4,000 Program Technicians (PT) got a boost when the state agreed to jointly interview workers about their duties in several key departments. Next week, the governor will announce his May Revise proposed budget for 2015-16, with updates based on tax revenues collected through April of this year. For people in more than 80 countries this Friday, May 1, is a national holiday that honors labor and working people. It is often referred to as International Workers’ Day, Labor Day or just May Day. Although May Day is not a legal holiday in the United States, SEIU and many unions as well as our allies use May 1 to highlight issues of income inequality, worker dignity and, especially in recent years, immigration reform. All six Local 1000-sponsored bills cleared key legislative committees this week, including a bill to force the state to stop laying off workers and replacing them with private contractors. 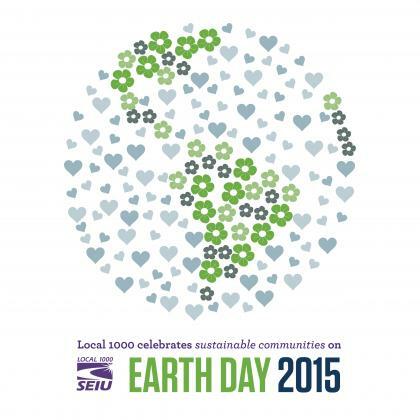 For Crystal McCray and several thousand other Local 1000 members in a variety of departments, every day is Earth Day. 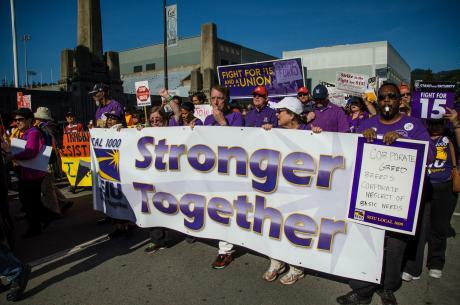 Local 1000 members joined thousands of low-wage workers and their supporters in rallies and marches across California on April 15 to mark the Fight for $15 and a Union National Day of Action. On Wednesday, thousands of people are joining fast-food workers, retail employees, child care workers, home care providers, airport workers and adjunct professors in rallies up and down the state and in more than 60 cities across the nation to demand fair pay for hard work: $15 and a Union. Calling for greater safety in a dangerous workplace, Local 1000 members at Salinas Valley State Prison (SVSP) took action to get long-broken emergency call lights repaired. After their demands for a fix went unheeded by management, they took their concerns to Assemblymember Luis Alejo and Soledad Vice Mayor Alejandro Chavez and marched on Soledad City Hall. On April 15, Local 1000 will be out in full force on the National Day of Action in the Fight for $15 and a Union, demanding that corporate America pay all workers a living wage. 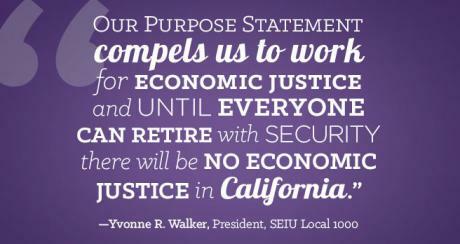 Local 1000’s commitment to economic justice for all Californians means we stand strong for fair wages. Come out to make our voice even stronger and help us make history! Local 1000 members honored Cesar Chavez by marching and participating in a variety of events remembering the labor leader on March 28 in Sacramento, Davis, Los Angeles and Fresno. In Sacramento, Local 1000 members and staff attended an event to honor Chavez on Saturday, March 28. The crowd marched from Southside Park to the Capitol. Speakers addressed issues such as immigration reform, economic justice and the fight for clean, healthy communities for working families. The strongest steel is forged from the hottest flame. Like in the case of Bobby Roy, an Education Programs Consultant with the California Department of Education, life’s turns can feel like Hell, but the heat can forge your strength and push you toward success. It also helps if your army in battle is Local 1000. In 2000, Bobby Roy’s mother, a preschool teacher at the YMCA, died and left the 21-year old with their South Sacramento house and the care of his grandmother. His mother also blessed him with a concrete goal for survival. Local 1000 helped prison dental assistants win a new post and bid scheduling system as part of an ongoing grievance fight that also led to a $1.5 million settlement in 2014. Under the new post and bid system, employees will be able to bid on 90 percent of the shifts to be filled with only 10 percent to be filled at the discretion of management. The bidding starts April 1 with the new schedules to be implemented this summer for 550 dental assistants who work for the California Department of Corrections and Rehabilitation (CDCR). A Local 1000 delegation joined other SEIU members, staff, officers and non-union workers from across the country for the IGNITE! Sparking Leadership Conference March 7-10 in St. Louis. IGNITE partici-pants spent four days sharing their stories, exploring the connections between economic and social jus- tice, and visualizing what it would mean to win $15 an hour for millions of workers. Following a very strong member response to a survey sent by Unit 17 and Unit 20, against an early post and bid, Local 1000 aggressively enforced our contract and won our effort to protect jobs for our nurses. 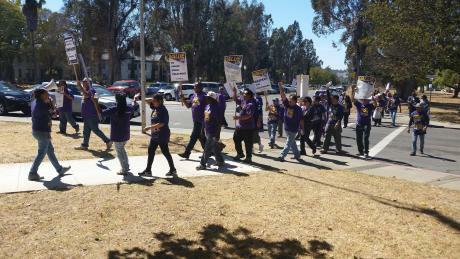 After pressure from the union on several fronts, the receiver managing California Correctional Health Care Services (CCHCS) agreed to wait until October to open the post and bid process, effectively shelving dangerous plans to reallocate staff and cut overtime. Local 1000 is sponsoring several bills this year that avoid contracting out public services, eliminate mandatory overtime for nurses, better deploy our prison libraries and librarians, and end the state’s practice of letting employee-misconduct investigations drag on for years. The crucial safety role of California Department of Education’s (CDE)’s Bus Driver Training Specialists will finally be recognized with new classification specifications and job titles, thanks to a hard-fought, years-long campaign by Bargaining Unit 21. The job specification revisions and the change of title to “Transportation Program Consultants” were finalized at a State Personnel Board hearing on March 5, 2015. When Shannon Pree was the victim of a horrific violent crime last November, her manager at the California Science Center in Los Angeles knew who to call for help: Local 1000. Pree’s brothers and sisters at Local 1000 heeded the call, donating cash and hundreds of hours of catastrophic leave as this single mother of three daughters recovers from multiple surgeries. On March 2, Bargaining Unit 4 leaders surprised Pree at work, presenting her with the donations and reminding her that everyone at Local 1000 has her in their hearts as she undertakes her long recovery. More than 50 elected officials and key state agency executives met with Local 1000’s elected member leaders at a Capitol reception held Feb. 23. The annual event allowed more than 100 member leaders from the union to meet and talk with state leaders about a range of issues affecting our work, our families and our communities. A Local 1000 member leader testifies about the retirement problems her family is facing even though they have a secure retirement through CalPERS. 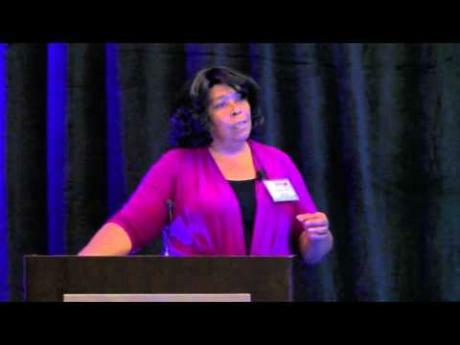 Theresa Taylor, a longtime Local 1000 activist who was elected to the CalPERS board last year, told the California Secure Choice Retirement Savings Investment Board of her family’s struggles because her husband became disabled. Toll collectors at some bridges in the Bay Area have won back pay and leave credits after they organized to fight a dispute over holiday pay with Caltrans. Members united to pressure Caltrans to correct payroll errors and to clarify departmental policy after the agency failed to credit employees properly for working on premium holidays. Two separate grievances were filed and were subsequently settled by Caltrans. For the third year in a row, Local 1000 provided free tax preparation and filing assistance in Sacramento Feb. 7 for more than 50 union members and community residents. The participants, who make $50,000 a year or less, had their income taxes prepared for free by a trained community volunteer under the federal government’s Volunteer Income Tax Assistance (VITA) program. All of the volunteer tax preparers were Local 1000 members and staff who received special training. Bargaining Unit 15 custodians in state buildings around the Capitol have organized to achieve a string of recent improvements in working conditions through their Joint Labor Management Committee (JLMC). Local 1000’s comprehensive training program for new stewards is entering its second year as graduates are already reporting success at their worksites. The Leadership Apprentice Program for Stewards (LAPS), which began last year, was developed to provide new stewards the tools they need to be more effective leaders in their workplaces and in their communities. The state of California is moving forward with efforts to design a retirement-savings program for workers who do not have a pension or a savings plan through their employer. The California Secure Choice Retirement Savings Investment Board voted on Jan. 26 to hire a law firm to help design the plan and to seek federal approval. Under SB 1234, the Local 1000-sponsored legislation that created Secure Choice, the board will present its final recommendations to the governor and Legislature for approval. Working together to build a stronger, more responsive union, more than 300 member leaders, staff and community allies came together in San Diego Jan. 16th and 17th at Local 1000’s annual Real Time Strategic Change conference. Responding to a changing political and economic landscape, the two-day meeting focused on developing member activists and leaders. 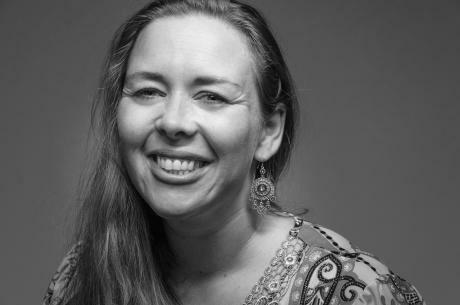 For Regina Schumaker, the day-to-day grind of work, family responsibilities and stress were wearing her down. Like many of us, taking time to eat right and to exercise took a back seat to simply getting everything done on her daily to-do list. Unlike most of us, Regina also had to deal with the added emotional pain of being recently widowed and facing a future without her life partner. Local 1000 members will be pleased to know that Gov. Jerry Brown’s budget proposal for 2015-16 includes funding for the 2.5 percent salary increase secured by our 2013 contract. “It feels good to step up and serve where I can, and I’m proud of our union’s commitment to the community embodied in our Purpose Statement”. Local 1000 members up and down the state took action on many different fronts in 2014 to build successful campaigns that protected our hard-earned contract rights, improved working conditions and elected lawmakers who respect and support working families. Using the power of grassroots organizing, members came together to build strength at their workplaces and in their communities to solve issues that affect their lives, and the lives of their families, friends and colleagues. In 2014, we made a difference. We fulfilled our promises. We stayed true to our Purpose Statement. In December of 2013, several hundred of us met in San Diego and we pledged to use our collective power to defend the rights of state workers on the job and to fight for fair wages and retirement security for all. Over the last year, we have vigorously enforced our contract rights at every level, and we received our two percent wage increase in July. 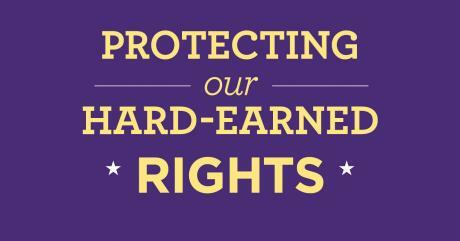 Protecting our members’ rights in the workplace is at the core of Local 1000’s mission. How we represent our members can vary a great deal from answering simple questions about workplace rules in the contract to defending the interests of members in complex litigation at arbitration or in civil court. Have a question you need a quick answer to? Your Member Resource Center (MRC) is here to respond to a range of inquiries. The MRC provides a toll-free service weekdays from 7 a.m. to 7 p.m. Whether you’re looking for information about worksite meetings, how to interpret contract language or who your Local 1000 steward is, your answers are just a phone call away. Since it opened five years ago, Local 1000’s Member Resource Center (MRC) has fielded more than 426,000 calls from members, including over 67,000 so far in 2014. Queries at the call center a block from the Capitol in Sacramento are usually simple requests such as the location and time of a union meeting or question about pay dates or holidays–most calls are resolved in less than three minutes. However, the calls can also involve distraught members who have just come from an upsetting confrontation with a supervisor. Working families were the real winners in last week’s election. The grassroots organizing effort of hundreds of Local 1000 volunteers overcame record-low voter turnout–and the millions of dollars spent by wealthy interests­–to elect a long slate of lawmakers who share our values and will fight for the middle class. More than 80 percent of SEIU-endorsed candidates won or retained their offices, with wins in all eight statewide races, including the re-election of Gov. Jerry Brown, John Chiang as our new state Treasurer and Alex Padilla as our Secretary of State. After enduring months of intimidation and ridicule by management in an effort to quash their protected union activity, in October two Local 1000 stewards prevailed on their complaint of an unfair labor practice against the California Department of Corrections and Rehabilitation. Younger workers–including state employees–are facing added challenges to their retirement plans, according to testimony at the California Secure Choice Retirement Savings Investment Board. During the month of October, Local 1000 members and staff had conversations with tens of thousands of voters about issues important to working families. In the five weeks leading to Election Day, during more than 3,500 volunteer shifts, we made calls and knocked on doors for candidates up and down the state. California Corrections Health Care Services (CCHCS) workers at the Health Records Center in South Sacramento have won new schedule flexibility in their work week. Now these employees are able to choose four, 10-hour days (4/10s) as a work week rather than the standard eight hours, five days a week. Local 1000 members and staff are making a final important push between now and Election Day Nov. 4 to ensure that we reach as many voters as possible to encourage them to cast ballots in critical races throughout California. Members are finishing up five weeks of phone banking tonight and tomorrow evening. This weekend begins four straight days of walking precincts to talk with targeted voters about what’s at stake in this election and why their vote matters. Click here to volunteer to help get out the vote! Local 1000 members all over California are volunteering to make phone calls and to walk precincts on behalf of candidates committed to strengthening the middle class and to expanding opportunities for all. Most members volunteer after work or on Saturdays to have one-on-one conversations with voters. Some, like Brenda Ferguson, are taking weeks or months away from their state jobs to work full time as member political organizers. Ferguson helps train new volunteers and supports them in phone banking or precinct walking activities. Local 1000 member leaders recently concluded a series of statewide worksite visits with Patrick Henning, the recently appointed director of the Employment Development Department (EDD). Local 1000 worked with Henning so he would hear first hand what frontline workers have to say about unsustainable workloads, use of permanent intermittent workers and how high stress levels have affected them on the job. When I look around today and see what’s going on in our country, I see how easy it is to become discouraged by all the negative forces that are working against us and working families everywhere. Attempts to derail the Affordable Care Act, attacks against our pensions and stiff opposition to lifting the minimum wage for low-wage workers can make it seem like we’re pushing uphill with no end in sight. As part of our ongoing effort to help grow the middle class in our communities, Local 1000 helped create a coalition of Fresno-area organizations to ensure that jobs created by the state’s high-speed rail project don’t bypass the Central Valley’s poorest residents. More than two hundred custodians working in the Department of General Services (DGS) will each receive $300 in a settlement that represents a victory for Unit 15 workers who are required to wear a uniform at work. The settlement covers “laundering and associated expenses” after several DGS custodians in southern California filed grievances complaining that the uniforms that they were handing over to the department for washing were coming back dingy and soiled. The cost of rewashing their uniforms –at home–began to add up. Have you mailed your CalPERS ballot yet? Member testifies: Will our daughters ever be able to retire? Thousands will make their voices heard June 3 – Join us!